Have you met your locate Probate Judge? Most people have not, but that could be the person who decides who raises your minor children if you do not put a plan in place to appoint a guardian for your children should you pass away too soon. I was working with a woman recently who had two minor children. The father of her children had passed away unexpectedly and she was unmarried. She was very concerned, and rightfully so, with who would raise her children should something happen to her. Since the children would not have any natural guardians (parents) if something were to happen to her, the local Probate Court would decide who raises her children. I spoke with her about the importance of naming a guardian in a Will. These types of guardians are named Testamentary Guardians. Otherwise, the Court would have no way of knowing who she wished to raise her children. She already knew who she wanted to raise her children and who would be a backup in case the first choice was unable to care for her children. Without naming a guardian and backup guardian in her Will, she would have been leaving this most important decision up to someone she had never met. So, we set up a Last Will and Testament, Financial Power of Attorney, and Advance Directive for Healthcare for her so she can have the peace of mind knowing that her wishes will be carried out while she is alive and after she’s gone. 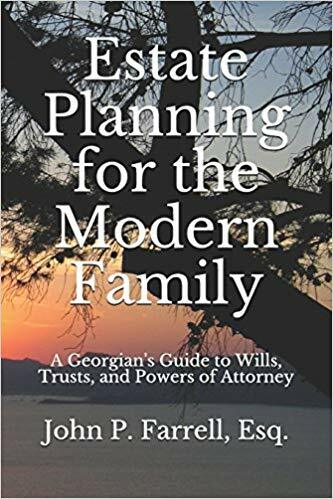 It’s important to work with our Marietta estate planning attorney with an excellent working knowledge of the practical effects of the probate code and Wills and Trusts. If you would like to have your plan set up the right way, the first time, call us at (678) 809-4922. Previous Previous post: When Do You Need a Professional Trustee? Next Next post: When Should I Have My Estate Planning Documents Updated or Reviewed?